12 years down the track we’ve been fortunate enough to have helped train some of the finest DJs, musicians and audio engineers in the country, producing alumni such as What So Not, Badrapper and Anna Lunoe. With an emphasis on nurturing fresh Australian talent, it’s been exciting to see the gained support of record labels, radio stations, and event companies alike. Due to an intuitive hands-on approach to music production and performance, we’ve garnered a diverse array of artists ranging from budding bedroom producers to industry professionals honing their skills. With a long list of well-respected mentors such as Flume (Try our free Ableton Liveschool course with Flume),Touch Sensitive, Seekae’s George Nicholas and Ninajirachi, our courses give aspiring producers a first hand look into sound design, music theory and audio engineering. In light of consistently nurturing new talent, we thought we’d highlight a few of the most exciting acts to come out of the woodworks and are making a rumble not only in Australia, but across the world! Rupert Howarth, better known in the club sphere as Perto, has conquered the Sydney trap scene in a matter of months. 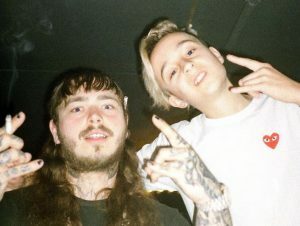 Over the span of the past year, Perto has hung out with the likes of Post Malone, Diplo and Flosstradamus, the latter two he had first met when he was only 11 at one of their Sydney shows. 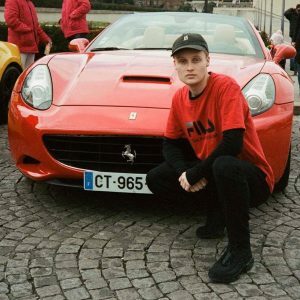 His first taste of success came when he uploaded his beloved remix of Flosstradamus & Mayhem’s ‘Back Again’ late last year, which garnered over 100,000 plays on Soundcloud. Within the space of a year later, Perto has gone on to release two huge singles and produce remixes of the likes of Lil Uzi Vert, Valentino Khan and of course his hero Post Malone. His latest single ‘Down 2 Ride’ featuring L.A vocalist DCMBR showcases all the skills the young producer has accumulated so far, whilst also serving as an unapologetically high octane summer anthem. 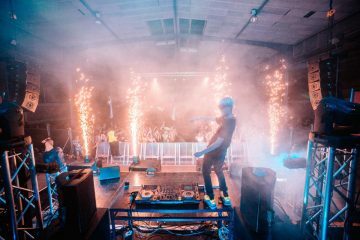 When he hasn’t been sharing studio time with his neon-trap contemporaries Leotrix and Enschway, Perto has been packing out Chinese Laundry and the Civic Underground as well as landing himself on bills alongside the likes of Alison Wonderland and Herobust. Check out his latest single ‘Down 2 Ride’ featuring DCMBR below. 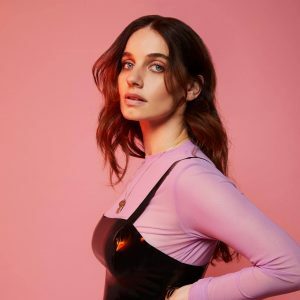 Another iconic figure in the Sydney club scene, it seems that Nina Las Vegas has been around forever, having been a key tastemaker since 2009 as the host of House Party and Mix Up on Triple J. Having played a key role in the late 2000s electro house explosion, Nina has continued to shine the spotlight on some of the most innovative and exciting dance music in Australia and beyond. After launching her broadcasting career she soon became a respected figure in the underground club scene, prompting her to release compilation albums House Party Volume 1 & 2. In 2015, Nina Las Vegas founded NLV Records, signing a multitude of forward thinking producers such as Swick, Lewis Cancut, Strict Face and Air Max ’97. Since then the label has consistently released a handful of futuristic club and pop tracks that seem to be as comforting as they are slightly surreal. To the present day, the label continues to push weird and wonderful sounds from up and coming Sydney talents. Check out ‘I know how it goes’ featuring Liveschool alumni Vera Blue below. Another young giant causing waves in the Sydney bass scene is Badrapper, an orchestrator of colossal trap bombs reminiscent of the grim atmosphere of earlier trap laced with a heavy dose of riddim and dubstep. Having played to a full crowd alongside the aforementioned Perto in addition to being a regular at The Wall, it’s evident that the people love him as much as we do. Over the past year, Badrapper has proven himself to be one of the most hard-working producers in Sydney, releasing over 10 tracks this year alone alongside the likes of Avance, JACKNIFE, Benji, ATLiens and NXSTY. 2018 has seen Badrapper play in support of Quix, Boombox Cartel and Luude, ultimately landing himself a spot on mainstage label DIM MAK. In addition, he also helped sell out the Metro theatre alongside Party Thieves, Leotrix, Just a Gent, Enschway and Vincent. After such a productive year for the relentless producer, Badrapper seems to just be warming up, having already made his major label debut. In the meantime, check out his original ‘Put in work’ below. 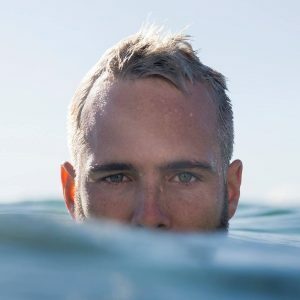 He certainly needs no introduction, but former Flume collaborator Chris Emerson has been involved in Liveschool for a better part of a decade, graduating from student to mentor in the matter of just a few years. 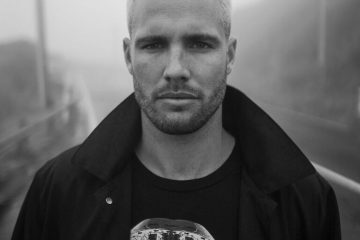 With What So Not beginning as a joint project between him and close friend Harley Streten (aka Flume), they made their debut on Sweat It Out in late 2011, paving the way for the bubbly club music that would emerge from Sydney in later years. With Flume leaving to focus on his solo efforts, What So Not became the brainchild of Emerson alone, becoming a global phenomenon in the realm of dance music. Since then he has worked with the likes of Skrillex, RL Grime, Daniel Johns and Dillon Francis and has headlined countless shows worldwide. His debut full-length LP ‘Not All The Beautiful Things’, released earlier this year showcases the producer at his best whilst displaying his love for collaboration, having even worked with American rock band Toto. Following the release of the album, Emerson has been touring extensively across Australia, America and Europe. While he’s still M.I.A galavanting around the globe, we can be sure to hear more from the famed EDM powerhouse in the near future. Anna Lunoe has done it all, hosting shows on FBI Radio, curating compilation albums, singing and producing. It doesn’t take much to realise that Lunoe is a jack of all trades and a master at all of them. 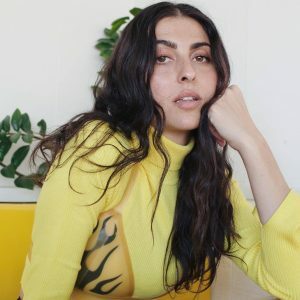 Since the release of ‘Anna Lunoe & Friends’ featuring the likes of Future Classic staples Touch Sensitive and Flume, Anna Lunoe has established herself as a household name in both Sydney and Los Angeles. The body of work she has produced since then is staggering, working with giants such as Chris Lake, Totally Enormous Extinct Dinosaurs, Tommy Trash and Wax Motif. Her more recent efforts see her applying her knack for dance music into a more pop context, with the stunning ‘Blaze of Glory’ combining a devastating bassline with a low slung beat more typical of an early 2000s R&B track. After returning with a track so boldly devious in the realm of mainstage EDM, we can expect to be blessed with more quirky sub rattlers in the future. Check out her collab with Born Dirty dubbed ‘Badass’ below. Want a taste of what we do? Try our free Ableton Liveschool course with Flume now!